Venison Magazine now hosts annual Art Camp sessions where you can escape to nature and focus on pushing your art career forward. 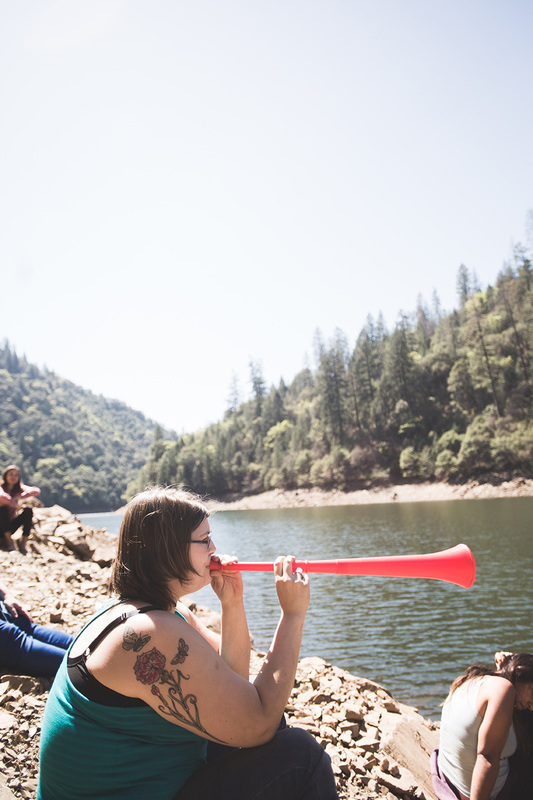 With workshops hosted by fellow art professionals, individualized feedback sessions, and opportunities to collaborate, Camp is a chance to boost your art career while getting Zen-ed out at an awesome getaway spot. Camp Venison by Molly Thompson on Vimeo. 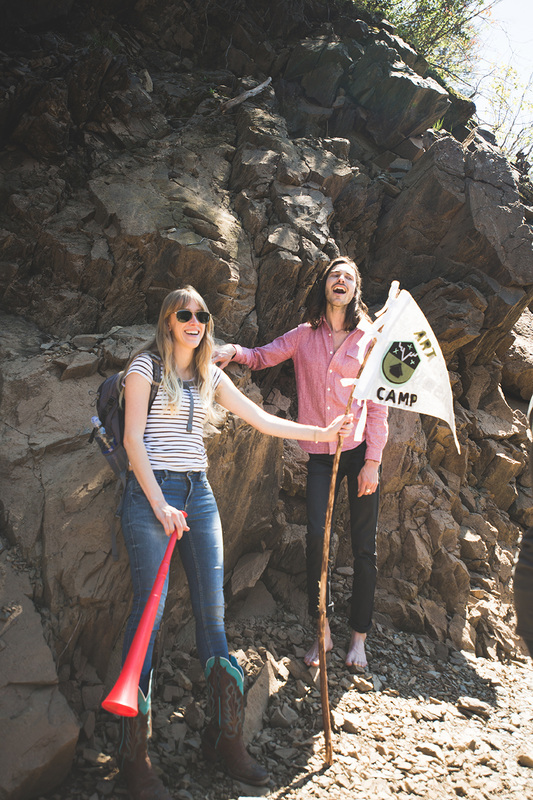 Camp Venison is a seasonal getaway for professional artists and makers and hosted by Venison. It's a vacation for your career where you can meet other artists, share ideas, receive feedback, build community and collaborate. Over the course of three days, we will share ideas about your work, help encourage improvement and inspiration as you move forward. Brainstorm problems you might be having and share valuable professional tips, resources, and knowledge about navigating your career as an artist. ​Plus there will be fun workshops focused on professionalism in the contemporary art market. Camp workshops are included in the cost because the workshops are hosted by the artists attending. 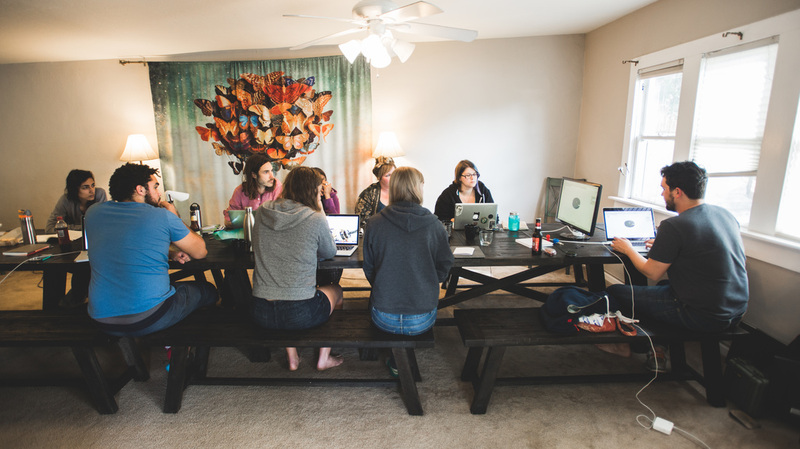 Hosting a workshop is encouraged, but certainly not required. Each artist in attendance will have the chance to present and share their work with the group and will receive a 1-hour feedback session from their fellow artists. During each feedback session, you will get individualized attention based on where you are as an artist. These sessions are great, whether you are starting a new series and need to bounce some ideas around or you are working on a grant proposal a grad school application or trying out a new technique. Each session is tailored to fit your needs and give you the invaluable feedback from fellow dedicated artists. Your weekend away will be sprinkled with Art Professionalism workshops taught by your Venison hosts and the other artists in attendance. 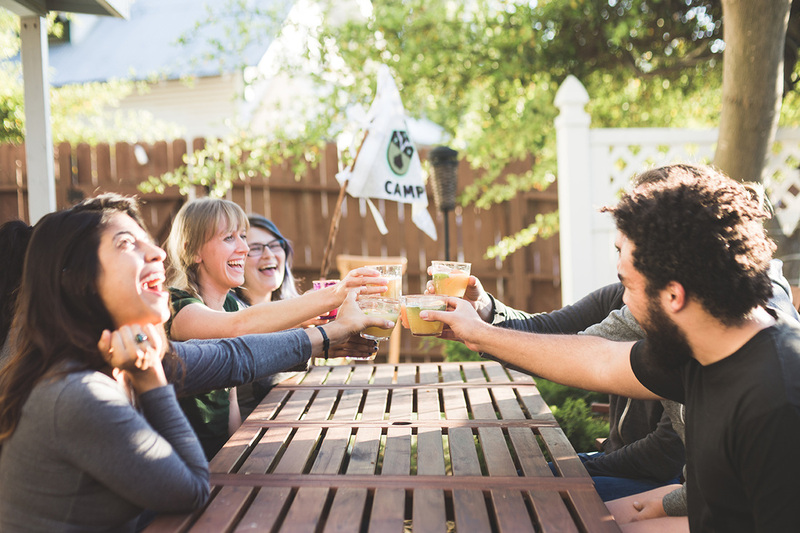 Camp is all about fortifying an artist community, and this is your opportunity to give back. (Also, a great chance to get instructional experience if you're interested in art education!) 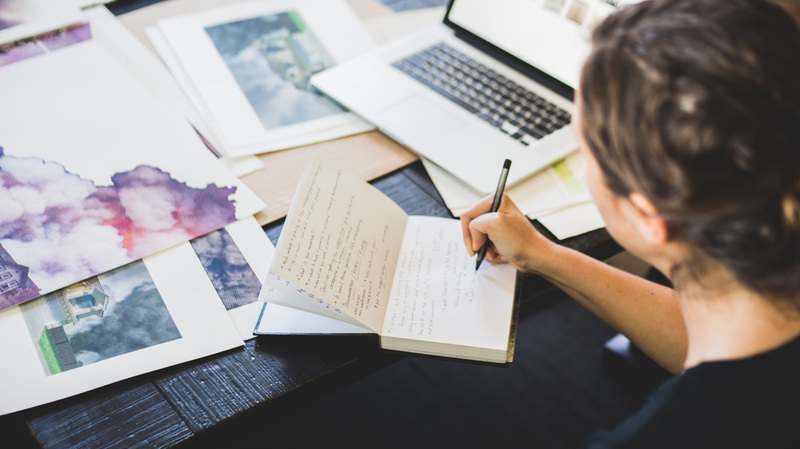 Past workshop proposals have been: photographing your work, building a social media presence, Fusion 360 tutotial, creating a website, gallery submissions, grant writing, etc. What knowledge can you give back to strengthen the artist community? 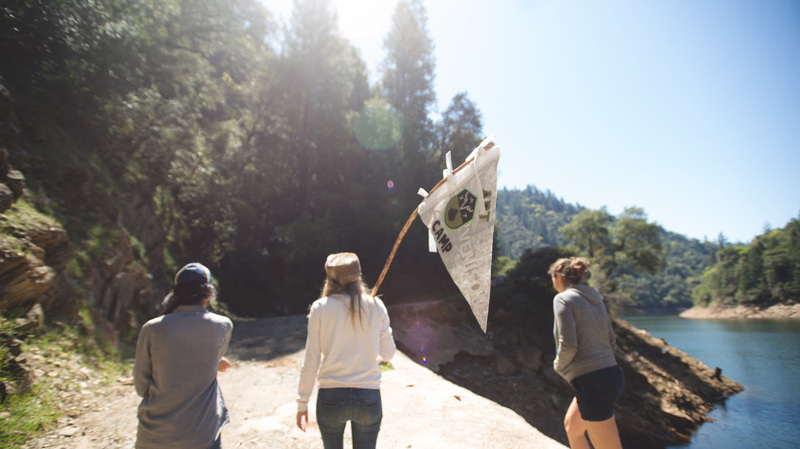 Camp Venison is not just about what programs we have planned, it is largely about the in-between moments, your chances to explore, bond, laugh, share, relax, and enjoy a house of 10 rad artists. Explorer Time is just that, time to explore the area, comb the beach, hike the hills, swim in the lake, or have some tea and watch the fog roll in. We're always on the lookout for awesome locations that will inspire our artists to think outside the box and get in the collaborative spirit. The weekend is packed with opportunities for growth, but don't worry we left plenty of room for Zen time. ﻿What's a good ol' fashion camp trip without the swag? *Each artist has the option to bring one piece of artwork no larger than 10" x 10" to put into an art swap. We'll throw all the names into a hat (or possibly a conch) and do a random drawing for each person. All those who participate will come away with a piece from one of their fellow artists! Who can go to Camp Venison? Camp Venison is an ADULT camp for artists in the beginning or emerging part of their career. You must be 21 or older to apply. How much does a ticket to Camp cost? The cost to attend our summer session in 2018 is $460. Although we do offer a scholarship for one artist every session! While Camp takes place in California we move every session, making each session a unique vacation getaway. Our first session in April 2016 took place in Camino, California. We visiting wine vinyards, lakes and historical Placerville. For future camps we've been looking at other destination please check the application form for more information on this session's location. How do I apply to Camp Venison? We are taking applications right now for our Summer session in August 2018. If you're interested in a future session please email us. Do you sleep over at Camp Venison? Yes, each person is booked in a bed. Depending on the location you may share a bed with another attendee but your sleeping habits, gender and comfort level with this option is closely considered to make sure everyone is happy and comfortable! Thus far, bed sharing has only been done by art partners who applied together. Do you accept collaborative artists? Or artist applying to attend together? Yes! Of course we do. Please each fill out a separate application and specify the collaboration with their full name. ​What are your refund policies in case I have to drop out? Once you have confirmed your reservation and made your payment, we are unable to issue a refund. You can however work with us to find a suitable replacement who is willing to reimburse you for the ticket. Can I bring my partner, child, and/or pet? Unfortunately, we are unable to book additional accommodations for artists' guests. That said, if your partner is a professional artist s/he is more than welcome to apply for a spot. As for pets, you will have to leave them at home in order for us to safeguard against potential issues like property damage and allergies. What do you mean by collaborative home cooked meals? All Camp lunches and dinners are cooked by the campers. Before the Camp begins, the menu's are set according to allergies and the preferences of the campers. All the groceries are bought by Camp hosts and brought to the location. Each group cooks one meal together every day. Breakfast is provided by the hosts. Do the hosts take dietary restrictions into consideration? Of course we do! We ask all participants about what dietary restrictions they have during the acceptance process. We will make sure that we have suitable options available during your stay. Got a question that wasn't covered? That's cool, we've got answers. ﻿Are your ears perked? We hope so! If you are a professional artist who is looking for an opportunity to get feedback on your work in a supportive, collaborative environment, then drop us a line to request more information or go ahead and reserve your spot for the upcoming session. Summer session will take place in Northern California. Summer session costs $460.00 without a scholarship. Travel costs are not included. Carpooling may be arranged. 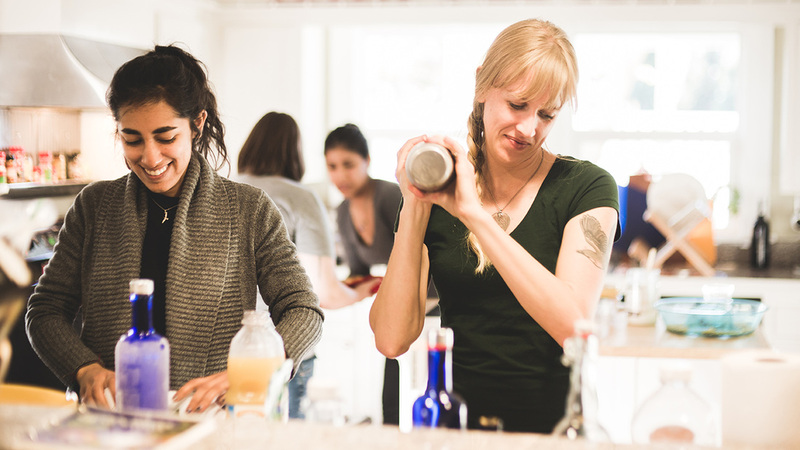 Nazish and Amber met at Elsewhere Studio is Paonia, Colorado in the winter of 2015. Following their art residency Nazish joined the Venison Magazine team, quickly becoming one of the most reliable and active members. Nazish and Amber co-facilitated Camp Venison in 2016 and will be teaming up again for 2018.